NEMO says:With a unique Spoon? shape adding room at the elbows and knees the Disco? is a three-season down men?s backpacking bag designed for side sleepers and allows you to shift positions throughout the night. This popular bag is loaded with features including Thermo Gills? that help regulate temperature during the night Blanket Fold? 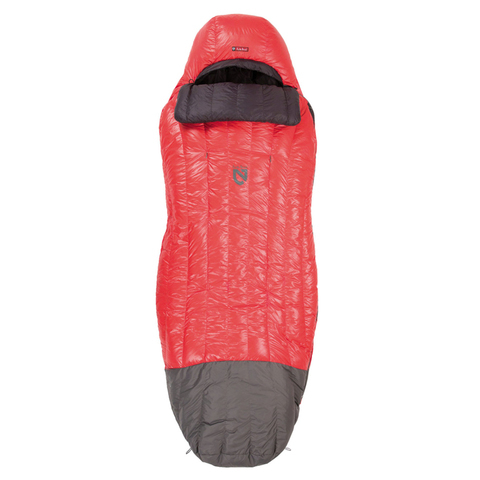 that provides tucked-in comfort and a waterproof / breathable footbox to withstand tent condensation. With a lighter nylon ripstop fabric and higher loft down insulation than Nemo's other bags the Nemo Riff? 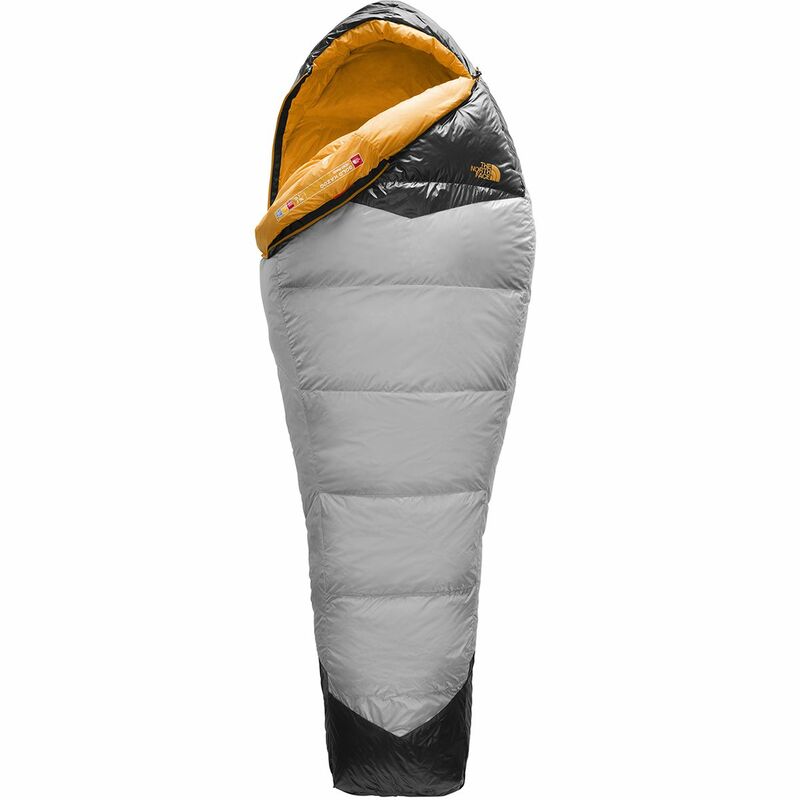 30° is your premium three-season sleeping bag option.NEMO says: With a unique Spoon? shape adding room at the elbows and knees the Riff? is a three-season men?s down backpacking bag that is designed for side sleepers and allows you to shift positions throughout the night. This popular bag is loaded with features including Thermo Gills? that help regulate temperature during the night Blanket Fold? 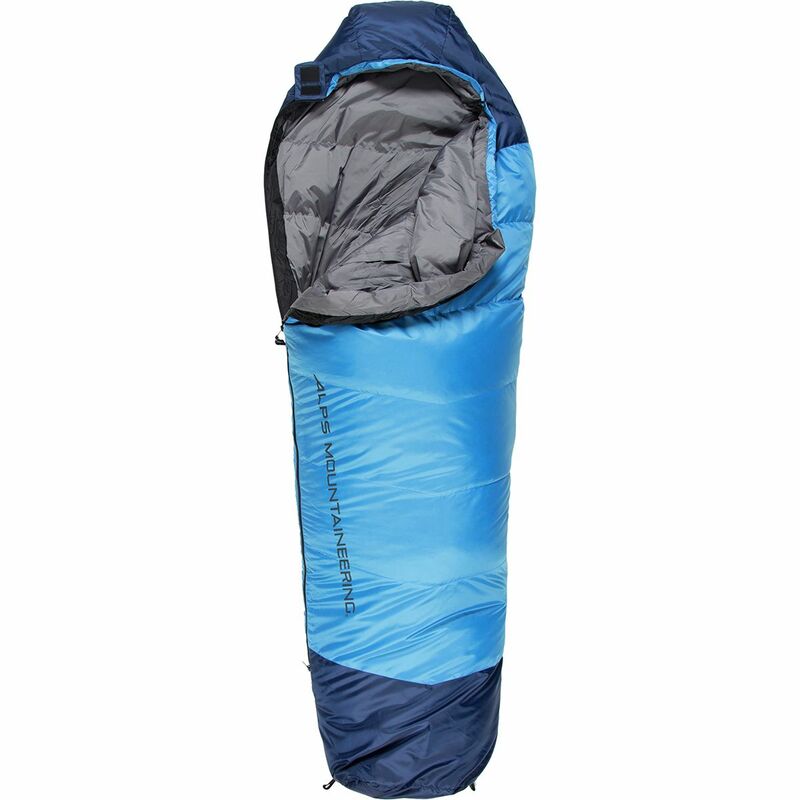 that provides tucked-in comfort and a waterproof / breathable footbox to withstand tent condensation. Don't settle for a night shivering in your tent cursing yourself for not bringing a few extra layers. 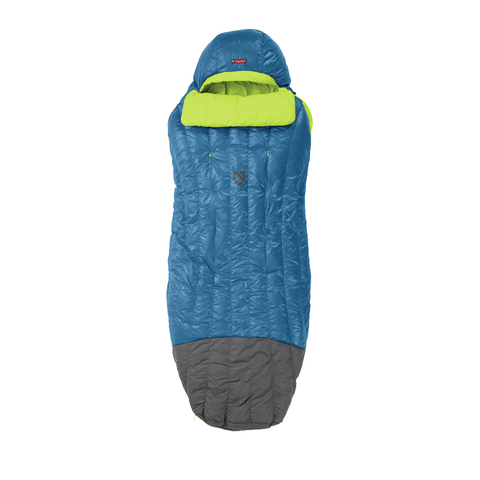 Kammok's Thylacine Down Sleeping Bag is a cozy escape from the cold winter air, keeping you comfortable year round. The 20-degree rating makes this bag a solid choice for crisp fall backpacking trips, with a tough Pertex fabric that is wind-resistant and washable. 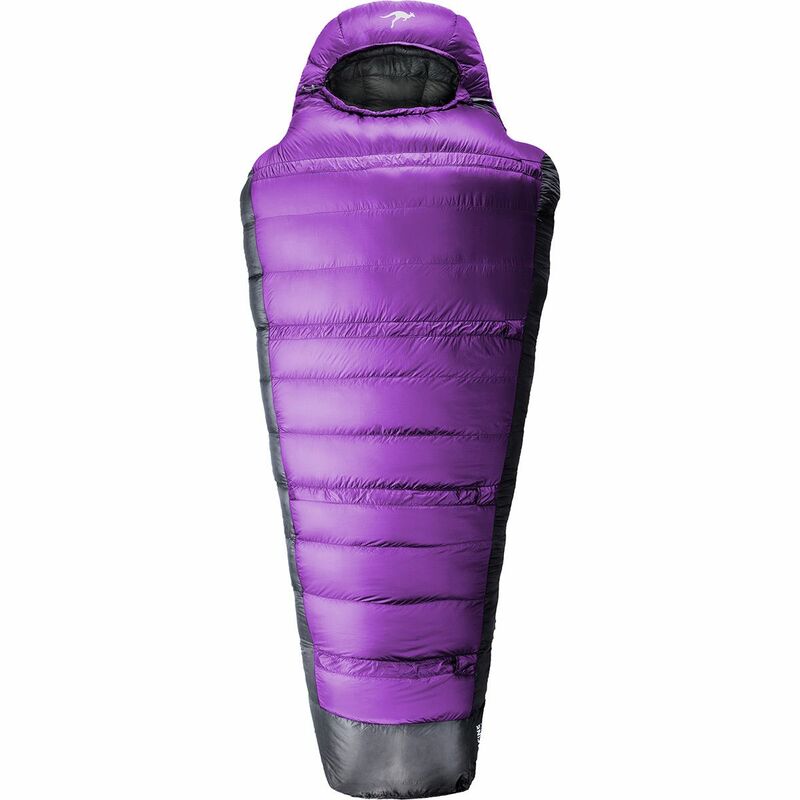 The 750-fill down provides heavenly warmth and is super light and compressible, so you can stuff it in your backpacking pack and still have room for plenty of snacks. The CustomFit adjustment system lets you cinch the bag tight or leave it roomy, and the vaulted footbox keeps your feet unrestricted with extra wiggle room. Keep your pack light as you backpack deep into Oregon's fabled old-growth, and don't be afraid to brave some maritime drizzle along the way. Filled with ProDown insulation, the Gold Kazoo Sleeping Bag is designed to maintain its loft and warmth in adverse climates like that of the Pacific Northwest. This bag is made for three-season use, and its small compression size opens space in your pack so you can carry more. At night, utilize the pad loops to keep from rolling off your sleeping pad, and cinch the draft collar to prevent the late-night draft from bothering you as you sleep to the pattering of rain on your tent. FEATURES of the Kammok Thylacine Down Sleeping Bag Backed by Kammok's Lifetime Warranty - so your gear will outlast your adventures. Variable Warmth Technology™: With an optional liner for additional warmth - youll be set all year round. Stash pocket: Keep your phone or headlamp always within reach. CustomFit™ adjustments: Cinch down the bag to suit your sleeping preferences. Wide and roomy or slim and snug. Vaulted footbox: A cube for your feet. Plenty of room - keep them warm. Pillow pocket: Stash your jacket - pillow - a rabbit...anything goes. Never lose your pillow again to the depths of your sleeping bag. Performance Insulation: Down or synthetic - our insulation stays dry and warm through water - rain - sweat or snow. Insotect Flow™: Insotect regulates an even distribution of warmth to keep you at optimal toastiness - throughout the entire bag. In other words - no more waking up to cold spots. Gear of the Year: The Thylacine was named Gear of the Year in Outside Magazine's 2017 Buyer's Guide. The Thylacine won over Outside's editorial team with its fully customizable capabilities - functional design - lightweight fabric - and durable hardware. 15D Atmos X™ fabric: Feel the difference. This fabric is strong - windproof - washable - and silky-soft to the touch. The 30° Super Down Sleeping bag combines a highly technical design with quality ingredients to make the ideal lightweight bag for when the temperatures are still high during your early season hunts.